New research from the University of Southampton in the United Kingdom investigates the way in which cancer takes over certain cell types and uses them as a life support. Finding a way to target these turncoat cells could help to reduce a tumor’s success. An example of the repurposing of the body’s biological mechanisms involves fibroblasts. Normally, these cells make a range of products, such as collagen and elastic fibers, helping to fix organs and cells together. However, cancer can utilize these cells for its own purpose, turning them into cancer-associated fibroblasts (CAFs). 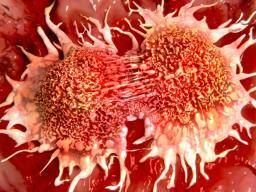 They have also shown that CAFs protect cancer cells from chemotherapy and suppress the immune system’s anti-cancer response. He informed us that, to date, little is known about CAFs. Although it has been shown that the “myofibroblastic CAF subtype is associated with aggressive cancers,” there are presumably a number of CAF subtypes, all of which could have different functions that need to be unpicked. He told MNT that they recently received funding from Cancer Research UK to examine “the effect of combining chemotherapy or immunotherapy with NOX4 suppression” in mice.